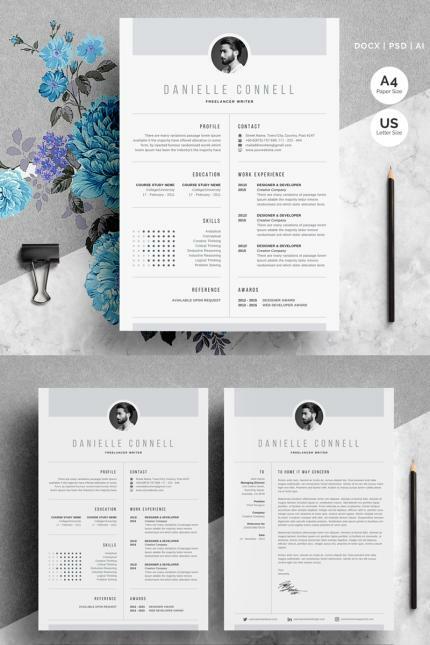 This Resume is very Clean, Creative, Modern, High Class & Professional Design Template. Save your money & cost your time, impress your Boss with this, Wow! One Page Resume/CV & One Page Cover Letter. Text, Fonts, Color & All Elements 100% Editable & Customization. A4 & US Letter Sizes Paper. CMYK 300 DPI Two Spot Color Template Design.